Situated 250km from Perth on the South Western Highway, the 2016 WA Tidy Towns award-winning city of Greenbushes is waiting for you! 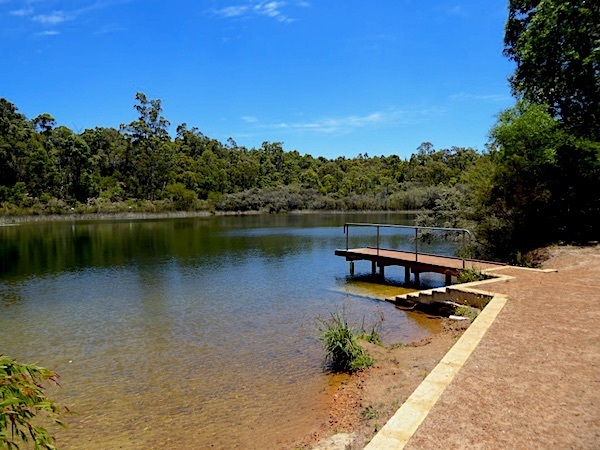 Greenbushes Pool at Norm Lindsay Reserve is a perfect stop for lunch or better, free camping (up to 3 days). Now, why I call it a great spot! 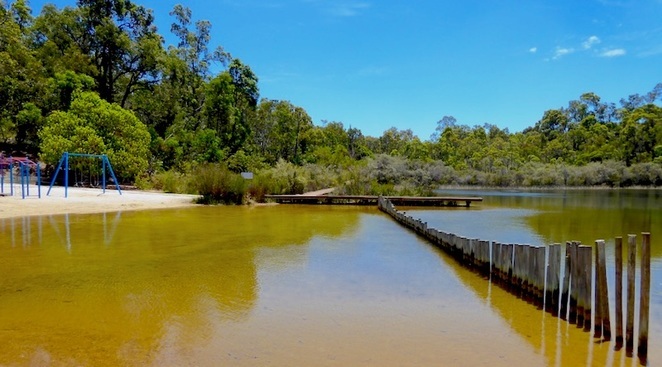 Set up camp amongst the gum trees and explore the area on foot. The 500m boardwalk around the pool is wheelchair / stroller friendly. 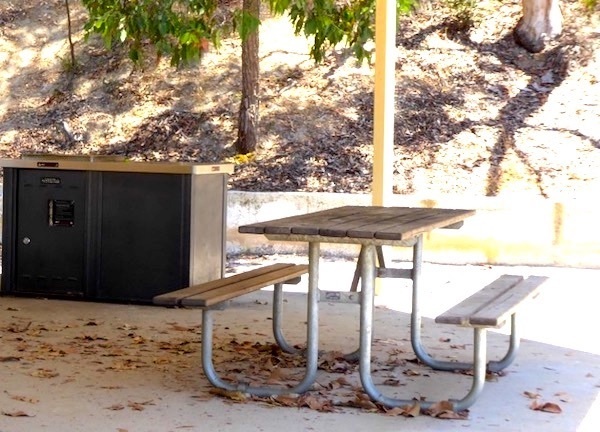 There is also a free gas BBQ, potable water, restroom, swimming area, playground, discovery walks and more. If you just want to relax, they even have a book swap box and a community patch with herbs! As you can see, Greenbushes Pool has it all! Downtown, less than 2km away, you'll find a Community Ressource Centre, post office, the Eco-Cultural Discovery Centre (open 10-2 on W., F., S. and S.) and a Roadhouse. Tasty Edibles will provide you with fresh bread, cafe type foods and coffee. The Exchange and Shamrock Hotel will offer you meals and drinks. As time flies when you are having fun, you might want to stay longer to enjoy the area - just move to the Sports Ground! Now, relax and discover all that the Blackwood River region has to offer, from tin mining to lithium, timber milling, farming and the heritage from the Noongar people. Tip: be advised to do your grocery prior getting to Greenbushes, however, the local Roadhouse will accommodate for any basic needs. (IGA in Bridgetown and Donnybrook, Coles and Woolworth in Manjimup).